American Ballet Theatre gives the Chicago premiere to its whimsical story ballet “Whipped Cream” at the Auditorium Theatre April 11-14. 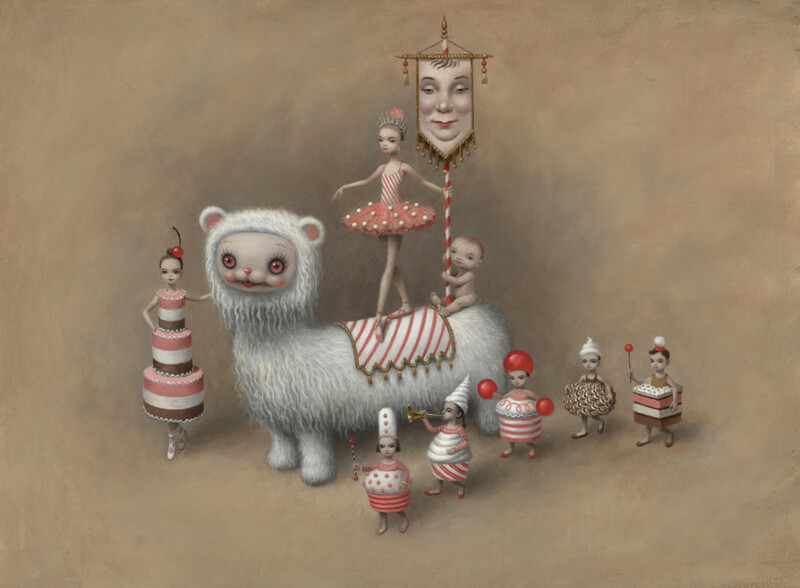 In addition to world-class dancing and stunning choreography, “Whipped Cream” also features stunning sets and costumes designed by pop-surrealist artist Mark Ryden, in his first-ever project of this scope. “A triumph!” says The New York Times. America’s National Ballet Company® gives the Chicago premiere of Alexei Ratmansky’s Whipped Cream on the Auditorium Theatre’s landmark stage. Ratmansky’s incredible choreography, combined with pop-surrealist artist Mark Ryden’s whimsical sets and colorful costumes, brilliantly showcases the world-class talent of American Ballet Theatre’s dancers and makes this “exuberantly nutty piece” (The New York Times) a must-see! Called “a bewitching success” by the Los Angeles Times and “visually enchanting” by The Wall Street Journal, Whipped Cream is set to a rarely-heard 1924 score by Richard Strauss, performed live by the Chicago Philharmonic. Don’t miss this rare chance to see American Ballet Theatre in this celebrated new ballet that is perfect for any lover of dance, theatre, or visual arts!